In a calm district, you will be able to rest in a patio planted with trees with garden furniture leading to the house by bay-windows to a living room with sofa, armchairs, library, an open-plan kitchen, toilets with basin and laundry room; upstairs two bedrooms with its own bathroom and toilet each. The bathrooms have a modern and different setting and are very bright, a towel rail, toilets, showers and basins. There is a library in the living room and upstairs where you will get a range of adults and children’s books as well as board games. Excellent property and location. Charming owners. Quiet location near to shops, restaurants and beach. House very clean with all mod cons. Owners live next door , do not speak English, but the daughter does. We had enough French to manage as the couple were very welcoming and accommodating. Nous étions ravis de recevoir Leslie et son époux. Nous avons eu un échange très agréable autour d'un apéritif avec eux. Je les recommande vivement en tant que locataire. We stayed in this apartment for 5 days and I can recommend it to people/families without kids and car. The apartment is nice and good located, in a real quite area. But I would like to inform there is no wi-fi connection and parking in the area is not easy at all. I would also recommend to hire the cleaning service, since the apartment has to be given back without a speck of dust or the owners will discount a part of the deposit. En arrivant les locataires ont trouvé une maison impeccable. Ces locataires n'avaient pas nettoyés en partant : comme ils devaientt le faire (car lis n'avaient pas pris l'option ménage) : cheveux partout, lavabos sales chasse d'eau des w;c non tirée, vaisselle mal lavée, oreiller et taie tachés de sang ...Peut être que la notion de propreté est différente selon chacun ! Quand au parking, il se trouve face à la maison, il n'a jamais été inscrit un parking fermé. Tous nos locataires ont su faire marcher la wi_fi. Dommage que ces locataires n'ont pas apprécié leur séjour ! Immediately upon arrival we felt at home. For us, (coming from Australia and booking over the internet, something we have not done before), this was very comforting. We spent 3 months living in this great place and were extremely happy with its cleanliness, location and what the house offered. It matched the listing description in every aspect. The owners, who live next door, were fabulous and could not do enough for us. 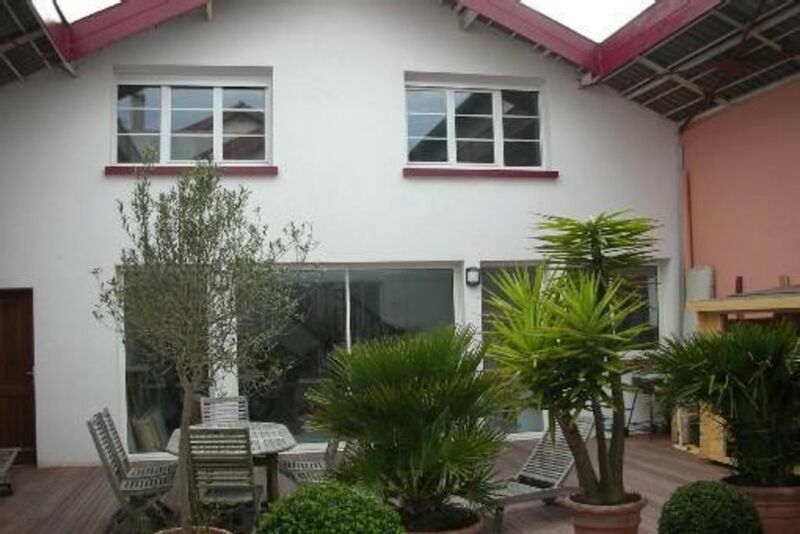 Its proximity to the beach and Biarritz shops was also a plus. Myself and two friends stayed at the house for a week in September and were very pleased with the apartment. The process was very straight forward with the exchange of a few emails and to ask our questions and confirm the reservation. The apartment is very modern with all necessary appliances and a lovely decked garden. The location is great, very close to the local shops and only a short walk further to the centre of town and several beaches which are excellent for surfing. The price was very good value compared to other apartments that we looked at. We also met the owners who were very friendly and accomodating. Would definitely stay here again and would recommend to others.